World Wide Knit In Public Day, explained! The next World Wide Knit In Public Day is taking place on Saturday 18 June 2016. We love the excuse to get out and about with our needles and yarn and always look forward to this event, here’s what we got up to in 2014. There are lots of knitters working in the Woman’s Weekly office. So when the idea came up to do a bit of knitting out and about came up, it caught on quick and everyone got fired up! Here’s our Lifestyle Editor, Jayne, Knitting Assistant, Freddie, and a couple of our friends on the Millennium Bridge by the Tate Modern Museum – a five-minute walk from Woman’s Weekly office. That Friday was the hottest day of the year so far, and being so close to the River Thames, we got the itch to take our knitting for one last outing in the sunshine. 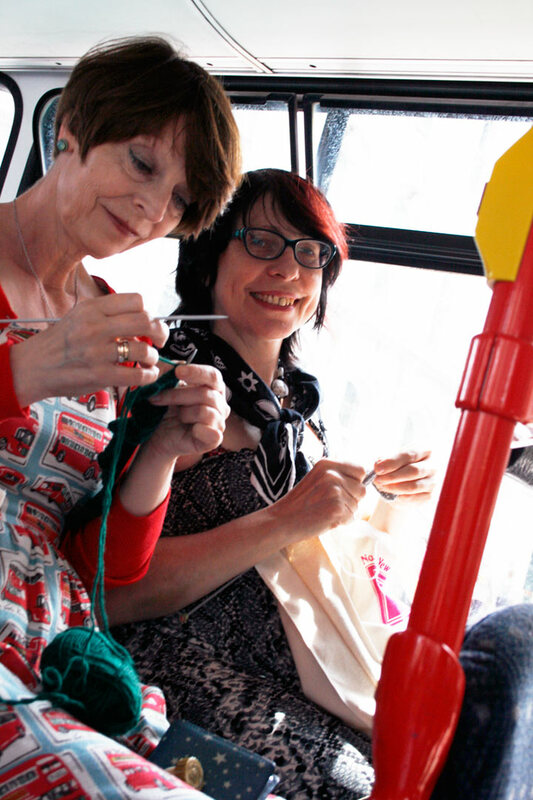 Knitting Technical Editor, Tina, rounded up the staff knitting group and took them on a double-decker bus to Westminster. Their knitting was on the go before the bus had even started moving! Big Ben was chiming proudly while we knitted our afternoon away by the London Eye and the Houses of Parliament! We caught the attention of passers-by as we got a few rows on the go. It was a fabulous week and we can’t wait to get involved with Knitting In Public Week next year. 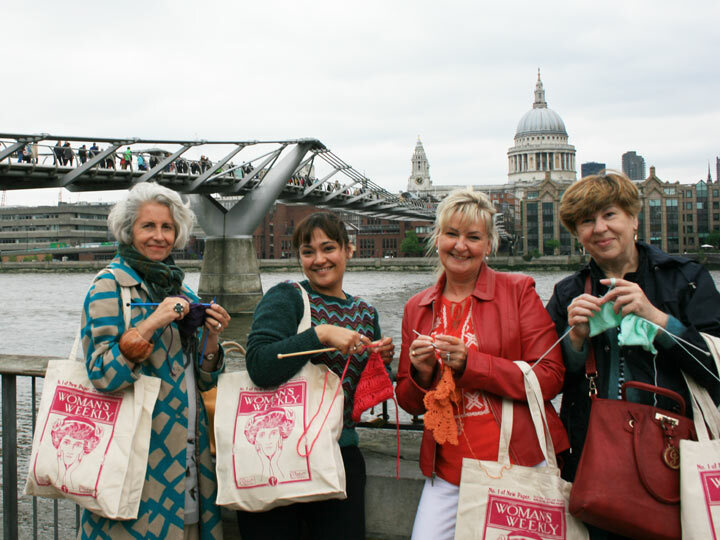 It’s not too late to share your pictures of what you got up to for Knitting In Public Week. We’d love to see where you took your knitting. We’d love to see it. Send it to us via our Facebook page or email womansweeklypostbag@timeinc.com.